If you tend to feel tense and full of stress at the end of each day, our Hedonism Head Massager could be exactly what you need. This utter lifesaver of a gadget allows you to give yourself a relaxing head massage - simply place the prongs on your head and move the massager up and down for instant scalp-tingling relief! The working week can leave a person feeling tired, sore, and extremely tense. 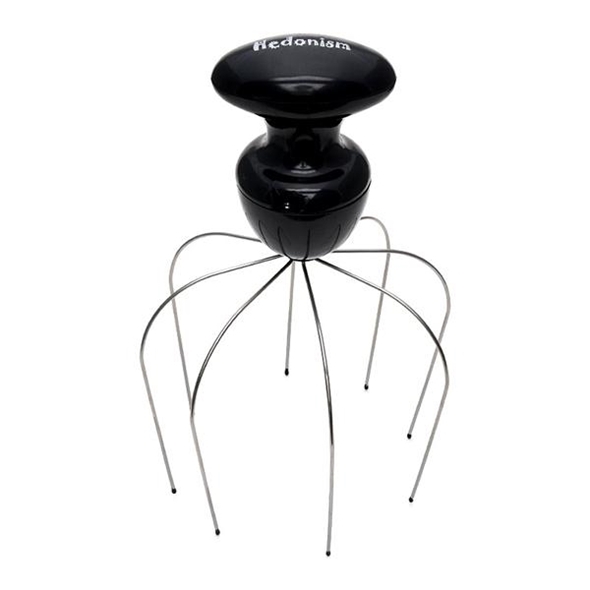 Hedonism is the ultimate weapon in the war on stress - this motorised massager works to relieve aches, pains and tension in your head and scalp, leaving you feeling refreshed, relaxed, and revitalised. Of course, you don't have to use it on your head; it also works on joints, backs, and practically anywhere else that's aching!